Posted January 16, 2019 by Mitch Hitch & filed under Featured Inner West Independent, Inner West Independent. Governments are elected to act in the best interests of not only those who have voted for them but to ensure that legislation is enacted that serves the needs of the community as a whole. Unfortunately here in NSW exactly the opposite has happened. NSW infrastructure planning has evolved over recent years so that only the interests of a tiny group are protected; primarily the multinational corporations who have a monopoly on the conception, development and realisation of these massive projects; and the parasites who feed off them. The worth of many of these multibillion dollar projects is questionable, often failing to withstand any sort of independent scrutiny. The concept of environmental assessment has been eviscerated by the abuse of Environmental Impact Statements (EIS), especially those projects sidestepped by using the rubber stamp of State Significant Infrastructure (SSI). This tag guarantees secrecy, a free pass, completely denying meaningful community engagement and ensures smooth sailing from conception to realisation. The important safeguard of the EIS is enshrined in legislation to protect both the community and the environment from proposals put forward by those whose only concern is making money. Obviously the environmental impact of a project can only be truly assessed once the project has been designed and detailed plans made public. 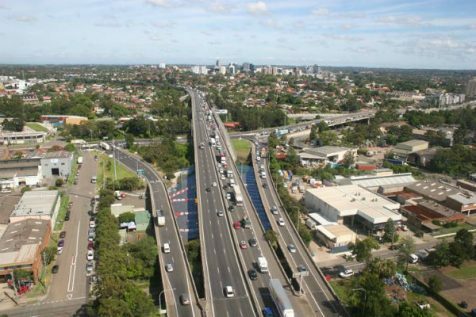 Community criticism of projects like WestConnex, based on information provided in the 7,000 page EIS volumes, is discounted by the Sydney Motorway Corporation, by stating that “The EIS isn’t a design document. WestConnex hasn’t been designed yet”! How’s that for a classic “Catch 22”! The entire approval process has been corrupted to the point that ensures the wishes of the wider community, especially those who are negatively impacted, are simply ignored. Lip service is given to involving the community though the use of what they deemed “Community Information Sessions”. These farcical events evolved in response to extremely negative feedback from informed members of the community; who exposed the flaws in projects like WestConnex – at public meetings convened by the proponents; while they attempted to flog projects with little or no benefit to the community. This denial of community input is especially true of projects deemed to be State Significant Infrastructure (SSI). Only a Royal Commission has any hope of exposing the dishonest infrastructure practices that have completely destroyed the trust of the community. One of the most disturbing things that came out of the Parliamentary Inquiry into the Impacts of WestConnex, was that despite it being a total disaster, the committee’s recommendation was that it should proceed. This is because a Parliamentary Inquiry has limited powers and can be politicised, as was the case here. The only dissenting member was Greens MP Cate Faerhmann; whose recommendation that Stage 3 be stopped was overruled by both Liberal and Labor. Nick Greiner, a key figure behind the invention of the WestConnex concept, was initially requested to appear, but declined and the committee simply acquiesced. Also the inquiry was merely focussed on the impacts, not on the deeper question of why, and who is responsible for this biggest misallocation of public funds for private gain in Australia’s history. To answer these questions, only a Royal Commission with a much wider scope will suffice, with powers to order Greiner, O’Farrell, Staples, Lock, Richmond, Charlton, Duncan, Cliché, Kanofski, Goldsmith, Gay, Roberts, Baird, Abbott and Berejiklian among others to give evidence. It would also create the opportunity to hear from those critics of infrastructure planning and approval, especially the many experts who have been gagged by their employment contracts. Such a Royal Commission should also investigate the entire transport planning system. A system that we have seen fail so badly in Windsor and Newcastle, with the CSE Light rail and the privatised Metro. We may also get to the bottom of why Sydney’s train network fails whenever there is heavy rain and determine whether public transport has been deliberately white-anted, so as to proffer private ownership as the only fiscally responsible solution. To question why we are building a second airport at Badgerys’s Creek, given that air travel contributes to at least 10% of global warming? Why high speed rail would be morally, environmentally, socially and financially a better and more equitable investment? Why the universally recognised threat of the impact of climate change isn’t considered in connection with heavily polluting tollway projects such as NorthConnex, WestConnex, the Western Harbour Tunnel, the Northern Beaches Link and the F6? The Royal Commission would allow the examination of secret contracts that purportedly prevent public transport from competing with tollway projects; the exposure of “commercial in confidence” clauses that recompense tollroad operators for failure to meet projected usage figures. And to forensically examine business cases prepared by companies like AECOM for the tollroads that have failed as well as to seek compensation for the public monies subsequently squandered. The NSW ALP have an opportunity to regain some of their lost credibility in the run up to the State and Federal elections by making a firm commitment to conduct a wide ranging Royal Commission into the NSW infrastructure planning and approval process. But the real question is of course – will they?